Sponsored by Fukushima City Tourism and Convention Association. 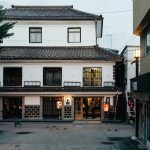 While staying in Fukushima City to attend the Iizaka Kenka Matsuri, I had the opportunity to try some of the cuisine that makes Fukushima such an amazing place to visit. Of course, the variety of cuisine in Fukushima is so vast, it is impossible to try all of the famous dishes in a single weekend. 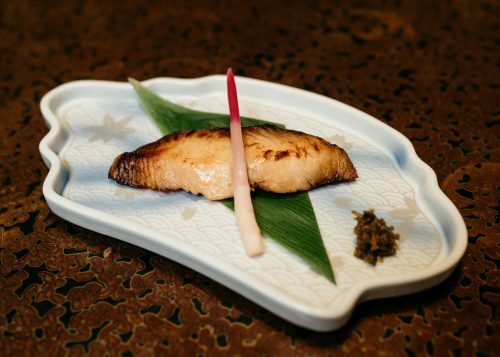 The reason Fukushima cuisine is so varied is a combination of its geography and history. Geographically, Fukushima Prefecture contains high mountain ranges in the west to craggy coasts in the east, with a plain suitable for agriculture in between. 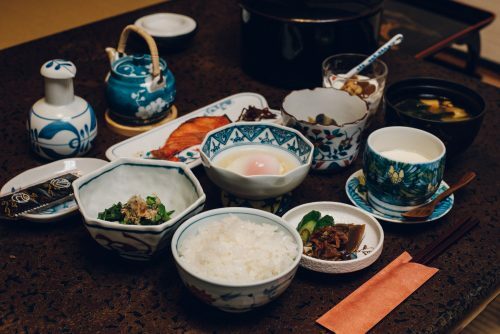 Because of the clans that once governed the Fukushima area, there were definite divisions between groups of people living in these areas, so the cuisine developed based on what was readily available to each group. 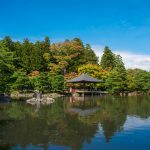 For example in mountainous Aizu, they make a famous soup called kozuyu using vegetables readily found and grown in the mountains, and dried scallops, because fresh seafood was not easily available to them. 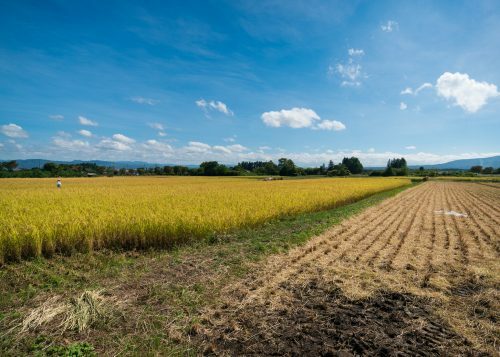 Fukushima City lies on the plain, surrounded by agricultural lands providing fresh fruits and vegetables and staples such as rice. 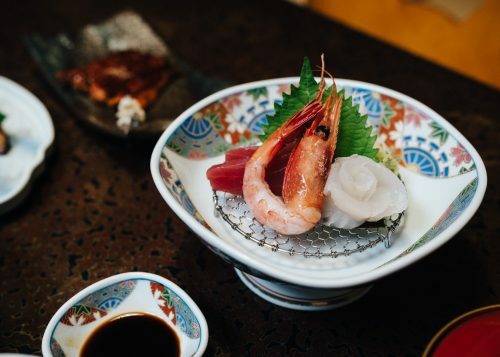 Now that clans no longer rule Japan, the ingredients from both mountain and sea are easily available and used in modern Fukushima cuisine, though some dishes maintain their historic roots. I was able to try a variety of Fukushima style dishes as a result of staying at Nakamuraya Ryokan, which has been owned and operated by the Abe family continuously since 1890. 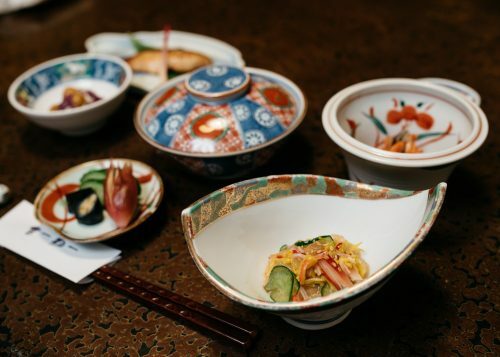 Nakamuraya serves kaiseki (individual small plates of different food types) dinner, giving the customer an opportunity to experience many different foods, flavors and styles. What ties them together is that each dish uses a main ingredient that is local to Fukushima. At Nakamuraya, dinner is served to you privately in your own room. 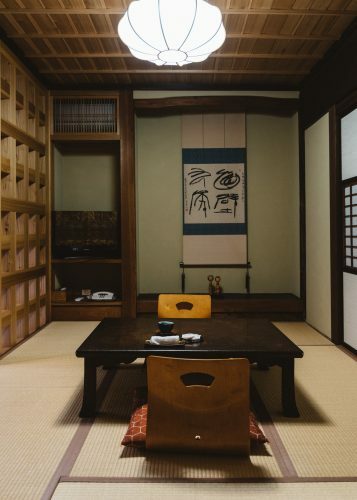 A low table and 2 chairs that sit directly on the tatami were right inside the door to my room and that was where my meal was to be enjoyed. Compared to going to a restaurant or eating cafeteria style, this was an elegant way to enjoy such an amazing meal. Dinner arrived on a tray, or at least that’s what I thought. After emptying one tray of food onto my table, my host returned later with a second tray. And when I thought that was it, yet another tray came. In total, there were 11 different plates of food brought to my room. And although no one plate was a large serving, 11 plates of food is quite a lot for one person to eat in a meal! But my goal was to at least try everything, so I started with…the jellyfish. Just by looking at this beautiful, oval shaped bowl, one would probably not know it contained a jellyfish dish. My host explained it was a Chinese recipe and mixed in with the jellyfish was sesame, vinegar, thinly sliced cucumber, and a hint of sugar for sweetness. There were also some yellow strands which I didn’t recognize but was told were chrysanthemum petals (they had no flavor of their own and seemed to be used to add color). The combination of the sweetness and sour with the nutty flavor of sesame just exploded in my mouth. This was one dish I wished was much bigger! Next, I took the lid off of my bowl of Aizu koshihikari rice, still steaming fresh from the pot and ate it with the tsukemono, pickled vegetables that accompany many Japanese meals. 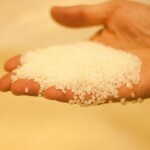 Aizu koshihikari rice is the Fukushima area varietal of one of the most popular types of rice in Japan. The tsukemono selection contained pickled myoga, a mild ginger that retains the flavor of the ginger common in the West but without the burn. Next I tried the simmered vegetables, another common Japanese dish. However, this dish contained seasonal vegetables common to the Fukushima mountains and plains. They are typically boiled in dashi (broth made from dried fish) and mirin (Japanese cooking wine) with a dash of shoyu (soy sauce) for flavor. 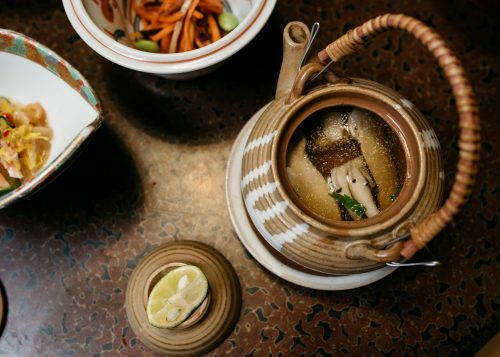 Then, the unusual matsutake mushrooms cooked in broth and served in a little teapot. 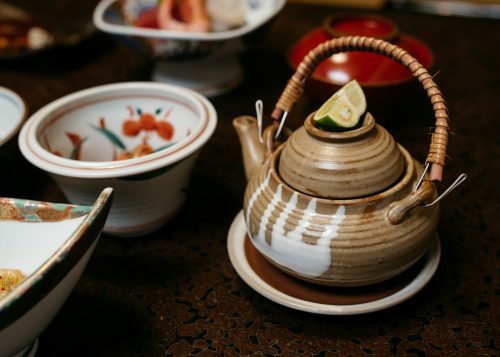 I was instructed to squeeze a bit of lime into the broth and pour the broth into a small cup and sip it like sake while I ate the mushrooms inside the pot. Amazing. I was saving the proteins for last, but I couldn’t hold back any longer. 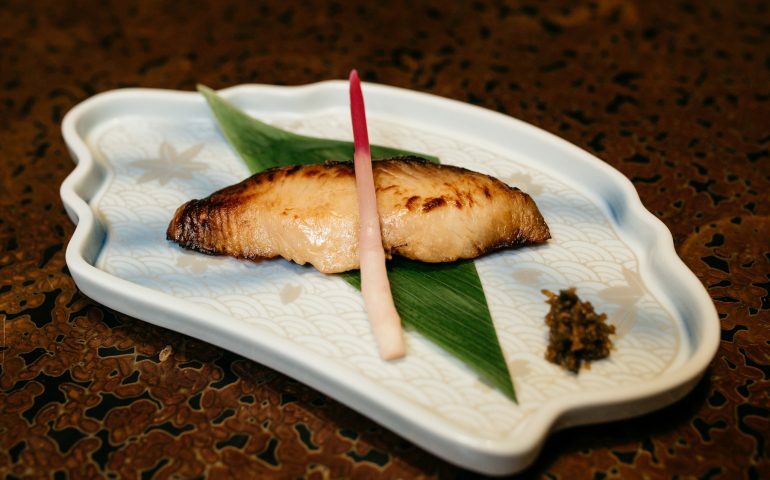 The grilled fish was sawara (Spanish mackerel) garnished with a pickled myoga. Next was the seasonal sashimi plate, which consisted of amaebi (sweet shrimp), maguro (tuna), and engawa (flounder). Every piece was so fresh and tender, it could have been caught that morning. Finally, the grilled unagi (freshwater eel), which I only saved for last because it is one of my favorite Japanese foods. 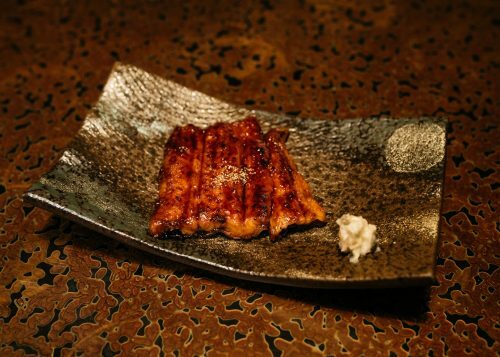 Most freshwater eel is now imported from China because of its growing scarcity in the wild, but this was freshly caught in Japan and it was melt-in-your-mouth fantastic. But wait, that wasn’t the last dish? 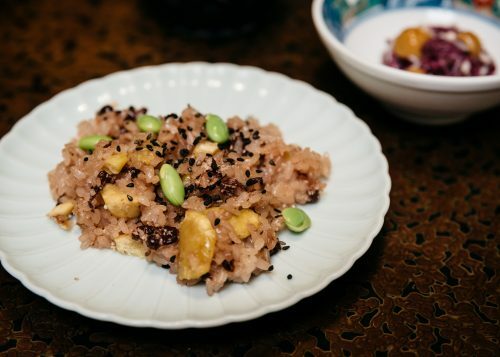 Oh no, I could not forget the special dish of the day, Oseki-han, rice mixed with chestnut, beans, and seasoned with coarse salt. This dish was made special on this day only because of the Iizaka Kenka Matsuri later that evening. And lastly, a bowl of two different types of Fukushima grapes, red and green, plump and sweet and a refreshing end to a huge meal. Waking up the next morning, I was served a full course of the typical Japanese breakfast: fish, vegetables, egg, tofu, rice and miso soup, with a Fukushima twist, of course. The egg component of my breakfast was the “Radium tamago,” a soft-boiled egg boiled in the waters of the Iizaka hot spring. Contrary to its name, there is no actual radium involved in cooking the egg, but it is simply a nickname given because radium was first discovered in Japan at Iizaka Onsen. There is also a very fresh bowl of tofu which, if you’ve never had freshly made tofu before, will blow your mind. 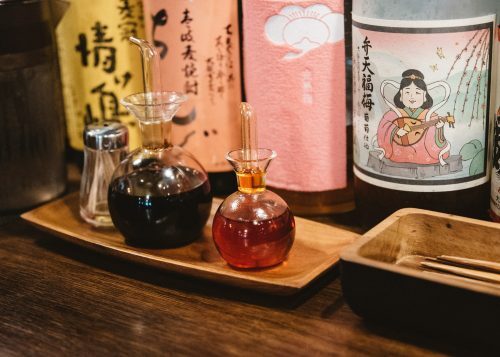 Nakamuraya provides shoyu and dashi to season your dishes with, but some say the tofu is so creamy good, it deserves to be eaten without seasoning. You decide. 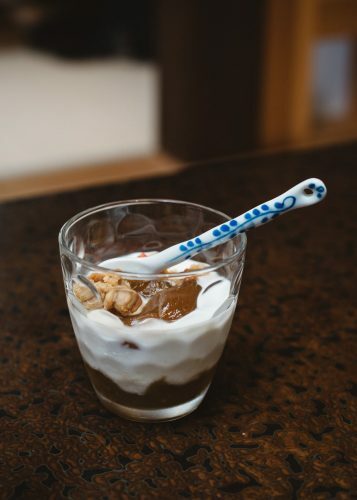 Lastly, a little yogurt sprinkled with grains contains a bottom layer of grape jam made with Fukushima grapes. Yum. On my way home, I had the chance to try one more famous Fukushima food, and the choice wasn’t going to be easy. However, it was recommended to me that I try enban gyoza, a big plate of fried gyoza from one of Fukushima’s famous gyoza restaurants, Gyoza Terui. There is a main branch restaurant in Iizaka walking distance from Nakamuraya, but it doesn’t open for lunch, so I drove to the branch shop in the city. If you decide to go here, it is quite popular, so the parking lot is usually full and there is a wait of 20-30 minutes to get inside. Park across the street in the large Aeon department store lot and buy a snack or something at Aeon to make it legit. Gyoza Terui is popular with the locals, which is usually a good sign for a restaurant. Once inside, I sat at the bar and admired their large collection of sake. 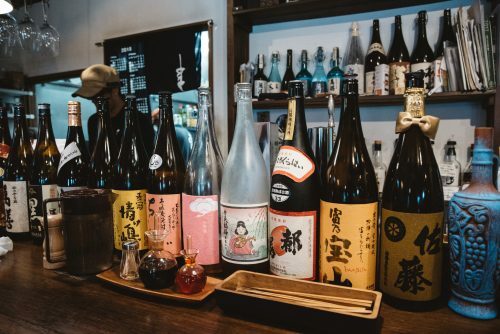 While I would have loved to sample some of the local sake Fukushima is famous for, I had a long drive back to Tokyo ahead of me, so I’d have to save that for another day. After ordering the enban gyoza plate (1490 yen), it came out almost immediately from the kitchen, sizzling hot. I guess because it is their most popular dish, they are constantly making them throughout the day. 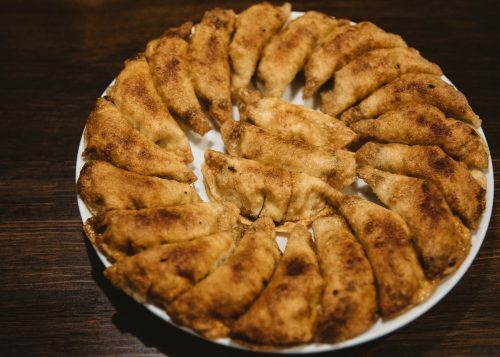 If it is too hard to count, there are 22 pieces of gyoza in the enban gyoza plate, enough to share with a friend or two. Since I came alone, I would just have to eat as much as I could. 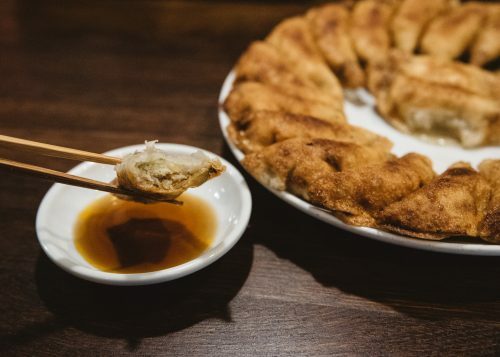 What makes this style gyoza different than most is that it is cooked much crispier than a typical gyoza. The pork and vegetable filling is also ground much finer, giving it a smoother texture in each bite. To prepare to eat your gyoza, locate the vials of shoyu (soy sauce) and hot oil on the table or counter. 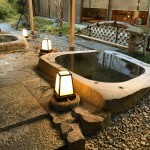 Next, fill a small dipping bowl with a little shoyu (soy sauce) and hot oil to taste. Then simply dip your gyoza in the shoyu/oil in between bites and enjoy! I was pretty hungry and managed to eat 14 gyoza, but it’s definitely better to share with other people and be able to try some of the restaurants other specialties like ramen. One weekend was time enough to sample the many foods of Fukushima, but what I tasted had me hooked. I even stopped by a fruit stand on my way back to Tokyo for some freshly picked apples and Japanese pears. I can’t wait to return to Fukushima to see what other delicious meals the city has to offer. You can find all the useful information in English on this site. Photographer, mentor, story teller. Tokyo-based, San Francisco born. Recently published "Sheila Kimono Style" photo book (Tokai Educational, 2018).